Heavenly Father, Teach me, to learn to rest in your grace and providence more and worry less. We want to surrender our burdens to Jesus and let him teach us his way and how to find his rest. 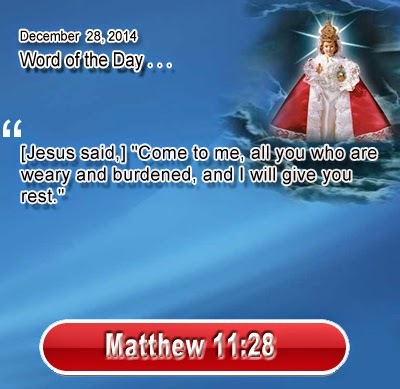 Sometimes we are so tired and weary we don't think we can continue, so please, dear Father, let us find rest in Jesus. In Infant Jesus name we offer this prayer. Amen.